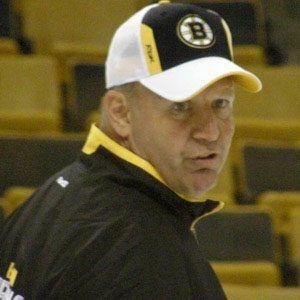 NHL head coach who led the Boston Bruins to a Stanley Cup title in 2011. He played in the NHL, OHL and AHL as a defender during his 12-year career as a player. He also had NHL head coaching roles with the New Jersey Devils and Montreal Canadiens. He has a daughter named Katryna with wife Karen Julien. He began coaching Dougie Hamilton on the Boston Bruins in 2011.